To support minimizing vulnerability and maximizing thriving, Thrive! provides a strategic and operational framework. That framework helps identify the most vulnerable persons/populations. It helps develop and execute the most effective strategy and interventions for minimizing vulnerability and maximizing thriving. It also helps set a desired vulnerability/thriving status for persons, communities, America and beyond. 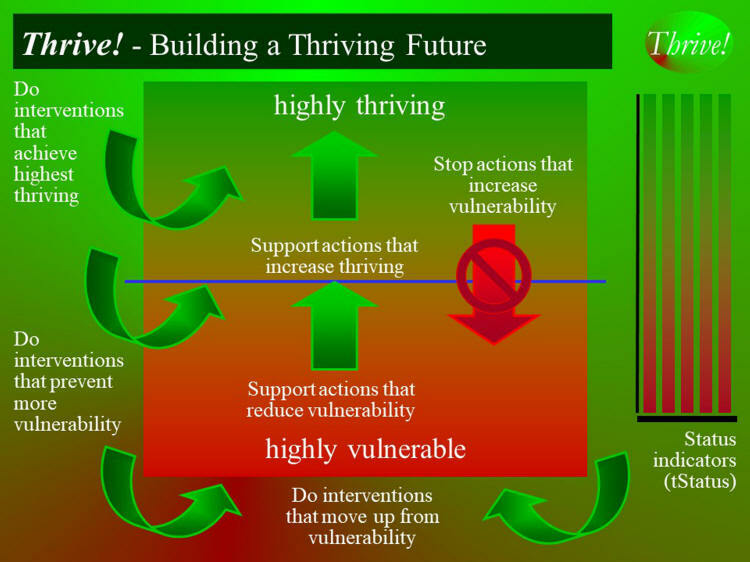 The resulting operational strategy stops negative interventions and supports positive interventions.